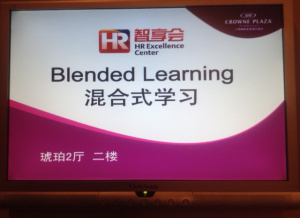 Teaching Blended Learning in Shanghai - Who Taught Who? Just about a year ago, I had a unique opportunity to deliver an in-person version of our Blended Learning Design Certificate course in Shanghai. As usual, I learned as much from my students as they did from me. Some was fun, some was cultural, and some was about how we teach and how we learn. I learned that all the Chinese dialects and languages (Mandarin, Cantonese, etc.) are spoken very differently, BUT they share a written language called Hanzi. For example, anyone that can read Hanzi would recognize that this sign says "Blended Learning," no matter which Chinese language they spoke. I learned that we need to be aware of cultural stereotypes (i.e. : students from Asian cultures tend not to ask questions) but not buy into them! The members of this class were some of the most inquisitive, intelligent, and interactive people I have ever met. I learned that preparing for a new experience can improve performance all around. My team did a lot of work to make sure that the case studies, anecdotes, and word usage were not too U.S. centric. We also spent a lot of time making sure the flow and agenda would make sense to non-native English speakers. When we completed this process, we were left with a class that was actually much better than the one we started out to adapt. I learned (or rather, remembered) that taking a virtual classroom course and teaching it in a traditional setting takes as much redesign as compared to the other way around. 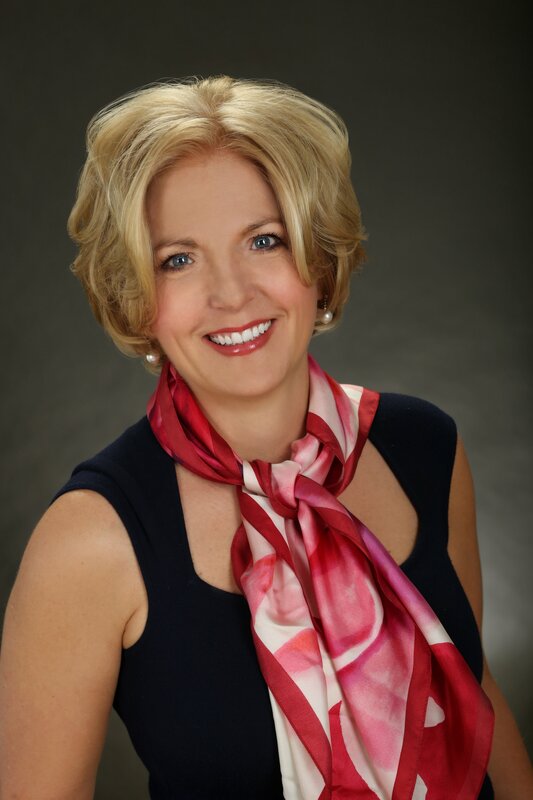 I learned not to depend on technology for a successful face-to-face interaction. We asked our sponsor to test all internet links, including the link to download the virtual classroom software, prior to finalizing materials. (We were concerned that some would not be allowed through the network.) We were left with a list that worked. Unfortunately, most students were not allowed to download software to their machines. Fortunately, my instructional designer believes in planning for the worst case scenario. Good thing too... she had a back-up design that didn't depend on the technology working. Do you have stories to share about your intercultural training experiences? We'd love to hear about them. 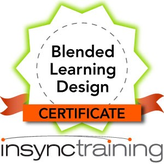 Interested in learning more about blended learning design in the virtual classroom? Click on the graphic below to read about our Blended Learning Design Certificate and how you can earn your Blended Learning Design Badge.